Quality Therapy Bands for children. 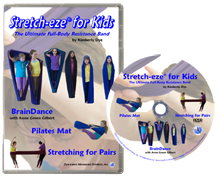 Exceptional comfort, durability, effectiveness, exercise bands excellent tools for pediatric rehabilitation and fitness. Theraband Latex Free Resistance Band Rolls: Great latex free stretch or elastic exercise bands for strengthening & shaping your body. Economical 25 yard rolls. Comes in 5 strengths. See Full Description to order your TheraBand Latex Free Band Rolls individually. See Full Description to order your TheraBand Latex Free Bands individually. See Full Description to order your TheraBand Latex Bands individually. Thera-Band Resistance Band Bulk Rolls: The popular Theraband® Resistance Bands in a 6 yard or 50 yard bulk roll. Great for class or individual use. Economical way to shape & tone your body. Comes in 8 strengths. See Full Description to order your TheraBand Bulk Rolls individually. See Full Description to order your Theraband Loops individually. See Full Description to order your Cooper Blanket Products individually. Co-oper Blanket: a fun group band to promote group cooperation and creativity. It's resistant fabric produces strong yet flexible bodies! 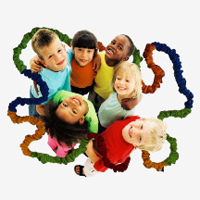 ElastaBlast Exercise Bands: An exercise band for group activities. Like a bungee cord covered in soft fleece, its dynamic rebound challenges individual gravity and balance. See Full Description to order your ElastaBlast Band individually. See Full Description to order your BodySox Bands individually. BodySport Tubing: Sturdy exercise tubing in 3 strength levels by Body Sport. Economical. Buy individually or as a set which includes a TheraLoop Door Anchor. See Full Description to order your Body Sport Tubing Exercise Bands individually. See Full Description to order your Jelly Expanders Exercisers individually. Jelly Expanders Exercisers : A simple to use stretch band made of a gel like material for stretching and exercise. Come as a single, double or triple expander versions. 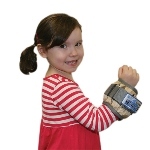 Pediatric The Cuff Adjustable Wrist Weights : An adjustable weight that goes around the wrist for strengthening little wrists, arms, shoulder and hands Sold individually or in pairs. See Full Description to order your Pediatric Cuff Adjustable Wrist Weights. Pediatric The Cuff Adjustable Ankle Weights : An adjustable weight that goes around the wrist for strengthening little wrists, arms, shoulder and hands Sold individually or in pairs. See Full Description to order your Pediatric Cuff Adjustable Ankle Weights.